Why should you seek an experienced Realtor? Are you looking to buy or sell a home in the near future? If so, this is one of the most important financial decisions you will make in your life. Whether you are a first time home buyer, considering purchasing an investment property or second home, it is crucial to find an expert real estate broker to guide you through the process. As soon as you decide it's time to buy or sell, begin seeking a knowledgeable and trusted Realtor. Gather referrals from friends and neighbors, social media reviews and community groups. Identify your real estate needs, and see which agents have specializations in areas of interest to you. Location-specific experts with the inside track on homes that are about to hit the market are going to have a wealth of information to suit your needs. Once you have chosen a few candidates, meet with them in person or over the phone to ensure the right fit for your top priorities. Be sure and cover basic information such as how long have they been a Realtor, how they typically communicate with clients, recent sales, average time frame for sales from start to finish and their areas of strength. To ensure understanding of the legal agreement, it is important to discuss the contract details with your chosen broker such as the length of the commitment, commission rates and specific conditions or clauses that a broker might have. Most contracts are standard, but you will want to confirm details of your relationship with your broker ahead of time so that there are no surprises. Are you looking for a broker to help you buy or sell a home, land or business in Angel Fire or Taos? We have trusted and knowledgeable brokers who can guide you through every detail from first time home buyer, to a seasoned buyer looking to add to your profile. 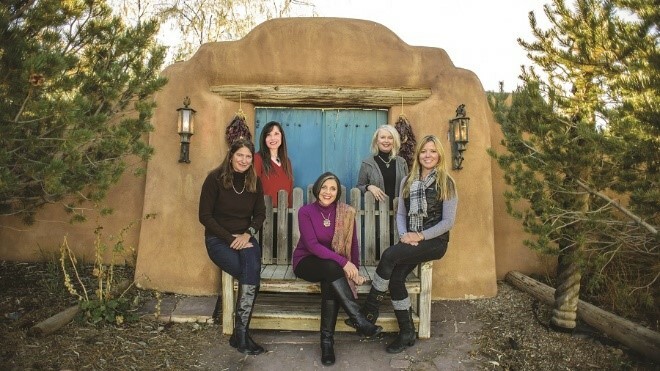 In Taos, call 575-758-5852 to see Taos land for sale, condos near the Taos Plaza or the Taos Ski Valley or perhaps a Pueblo-style Taos home may be what you are looking for. Whatever your taste or budget, we can find the right Taos property for you. If you prefer the beautiful Alpine setting of Angel Fire, let us help you find a fully furnished Angel Fire home ready to move in, land near Angel Fire to build the home of your dreams or an Angel Fire condo for those fun family getaways. In Angel Fire, call 575-377-2626 or stop by our log cabin office on Highway 64 and 464 at the blinking light with the tipi out front! We look forward to serving you and giving you the quality experience you deserve.